“We are excited to announce that Miggy Santos has joined our team as the joint Program Director of WSOY-FM/ Y103 and WWHX-FM/HOT 100” says Neuhoff VP/Programming Mike Shamus. Miggy comes to Neuhoff Media from past stints in Fresno California, Las Vegas and Boise Idaho. A native of upstate New York, Miggy will be working across both the Bloomington and Decatur Illinois markets, focusing on brand development, station engagement and driving revenue. “Miggy brings experience and energy to a new concept for us” added Bloomington VP/GM Danielle Outlaw. “We’ve developed a special brand in the Twin Cities, Miggy has experience in winning with these types of projects, we’re excited to have him on our team” added Outlaw. Santos will oversee the programing on both radio stations in his new roll along with working closely with local sellers. 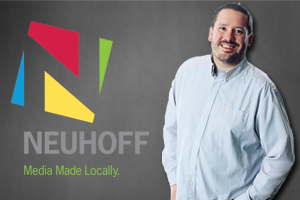 Neuhoff Media-Decatur Associate GM, Kathy Byerly said “WSOY-FM / Y103 is the market’s heritage music station, having Miggy Santos on board is a real plus for listeners, advertisers and our community. Miggy’s energy is boundless, that’s a good for thing for everyone” added Byerly. Recently rebranded WWHX is now known as “HOT 100, The Beat of Blono”. WSOY-FM / Y103 is Decatur’s heritage pop music station, consistently measured among the largest radio audiences in Macon County.